Daycare injuries have received an increase in attention recently, and rightfully so. No parent wants to have the experience of picking up their child from daycare and seeing their pain and agony, all coming from an injury that could have been avoided. Daycare centers are meant to be safe environments while you are at work. Their main job is to take care of your child. So the question comes up: what happened? When your child comes home and you notice they have a bruised or broken finger, you might have a set of mixed emotions, including empathy, sadness, anger, and fury. You feel for your child’s injuries, and are adamant to determine what happened and why it happened. How did your child’s finger get slammed in between a door? Who was the person or staff taking care of your child that permitted, whether accidentally or on purpose, for your child to be injured? At the Anderson Law Firm, we make sure to hold accountable the daycare where your child’s injury took place. Although it may not seem like a big deal, the reality is that children’s bodies are more fragile than adults. This means that incidents that would otherwise have smaller consequences, such as an adult having their fingers bruised after a finger has been slammed, can result in a broken finger (or hand) for a child. The effects of having an injured hand or finger must also be taken into account. While kids’ bones have a much healthier chance of healing properly, it is important to make sure that a doctor takes a look into the injury. The best way of fully knowing the extent of your child’s injuries is by taking them to a doctor, whether it is in an emergency room or with your family’s primary care physician. As you will find later in this article, medical expenses for your child’s injuries can be compensated for in a personal injury claim against the daycare. Knowing exactly what happened, when it happened, and who was involved is essential in establishing the facts of the accident. This will be instrumental in forming a successful claim. Was it an Accident or Maltreatment? When taking on a daycare accident, it is important to know if your child’s accident was in fact, an accident. If there is evidence that the daycare staff was involved in intentionally harming your child, or if the child was allowed to get injured, then the case would also involve a criminal investigation. If the personal injury claim does involve a criminal investigation, then the innocence of your child in the injury case would be solidified, as well as the fact that those at-fault are really at-fault (“at-fault” is another way of saying who was responsible for the accident to occur). There are many different tactics that insurance companies use to avoid paying injured clients what their cases are worth. Don’t let the insurance companies do this to you. Time is a very important factor in any personal injury claim. When your child’s injury takes place, it is important to seek both medical and legal help immediately. Here’s why. In regards to medical help, there are two important areas that are covered when you seek medical help for your child’s injuries: treating your child’s injuries and avoiding a complication, and establishing a paper trail. While there are times that an injury can go away on its own, things like severe injuries (such as fingers being crushed in a door) can require a doctor’s help. If you suspect that your child’s finger may not heal on their own or if your child is in immense pain, making sure that you get medical help fast can potentially save your child’s finger from complications. Secondly, when you get medical help immediately, a paper trail is established. Insurance companies like to use the gap between the injury and getting medical help to argue that the injury was not very bad, thus reducing the amount of money they can pay in a personal injury claim. After your child has been injured, it is imperative to get the right medical help immediately. Furthermore, getting legal help right away will be beneficial to you and your child’s injury. At the Anderson Law Firm, we help clients get the medical help they need by working with a network of doctors. We make an agreement through a letter of protection (LOP) that basically states that all bills will be paid once a settlement has been reached. This means you don’t pay anything out-of-pocket for any medical bills, and when the settlement comes, the bills will be paid. Don’t pay for your child’s medical expenses after they were in an accident they did not cause. The daycare center’s insurance company should be the one that pays, and that is exactly what we make them do. 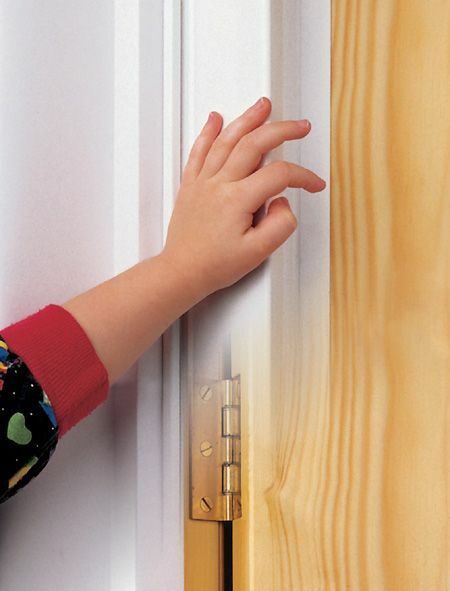 If your child was injured by getting their fingers crushed between a door, you and your child have rights. Contact the Anderson Law Firm today to discuss your case with a member of our legal team. Remember, you don’t have to see your child endure the pain caused by the accident. With our law firm, we can have your child’s injuries treated right away with no out-of-pocket costs. Call us today to schedule your free, no-obligation consultation.